Marine Solenoid Operating Valves are offered for Kahlenberg horns and whistles. 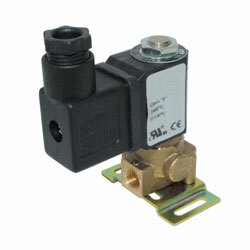 These marine solenoid valves are dependent on the requirements of a particular horn. Several valves are offered for use with Kahlenberg air horns and whistles. Depending on the requirements, valves of particular orifice size should be used.